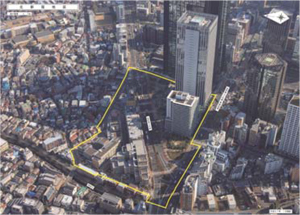 After the Great Ginza Fire of 1872, the Meiji Government issued a statement to build a fireproof city and built a Western-style brick quarter in Ginza. This was the first modern urban city building in Japan. 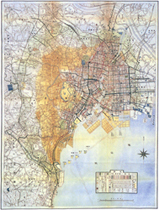 Afterwards, the Tokyo Town Planning Ordinance - the origin of city planning legislation in Japan - was established in 1888. The Hibiya Park, Ueno Park and the road that runs along the Imperial Palace moat are legacies of the city development project at that time. The Comprehensive National Land Development Act of 1950 aimed for development-based quantitative expansion against the backdrop of socioeconomic situation of the time. Now that Japan is on a steady growth path after going through the post-war reconstruction and then the high-growth period, the idea of the Comprehensive National Land Development Act, however, has become outmoded in the current situation. 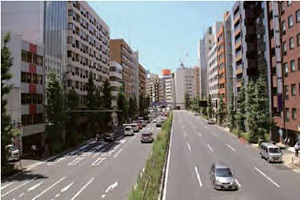 The City Planning Act was promulgated in June 1968 and enforced in June 1969 under the basic principles that healthy and cultural urban lifestyles and functional urban activities should be secured while maintaining a healthy balance with the agriculture, forestry industries, and that reasonable land use under due regulation should be promoted for this reason. 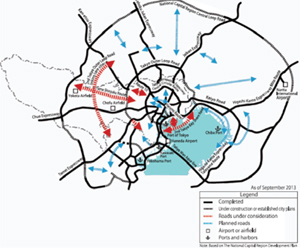 The city planning area is the bounds of an area subject to city planning, which is to be designated first in the establishment of a city plan.This is an area in which urban facilities are placed according to the state of urban development, which includes a range of areas in which smooth urban activities are carried out, and in which society, economy and traffic are, and will be, organically integrated. Roads have the multi-purpose functions in connection with underground object installation space, the disaster prevention, the environmental preservation and the environmental health, as well as the direct functions such as the transportation function as lifeblood of the urban transportation and the function of intercommunication in a daily living sphere, and its role is extremely important. The Urban Redevelopment Policy is a master plan that comprehensively systematizes measures for urban redevelopment on a long-term basis, thereby aiming to ensure fair guidance and planned promotion of redevelopment. The conventional town development was carried out based on two kinds of approaches: land use restrictions, facility plans and urban development projects under the City Planning Act from a macroscopic viewpoint, and site-based building regulations under the Building Standards Act. 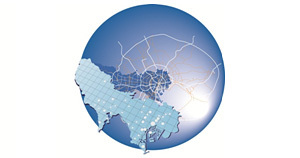 The Tokyo Metropolitan Government instituted“the Tokyo Metropolitan Regional Disaster Prevention Plan” based on the Basic Act on Disaster Control Measures which shows the basic measures for the Urban Disaster Prevention and “the Tokyo Metropolitan Earthquake Disaster Measure Project Plan” based on the Tokyo Metropolitan Ordinance for Earthquake Disaster Measures which comprehensively compiled the measures related to the Earthquake Prevention. 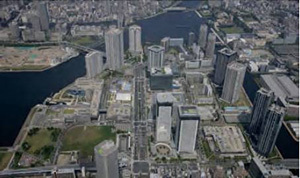 The Bureau of Urban Development has established as its main plans, the City Planning Vision for Tokyo, the Master Plan for City Planning, and the Master Plan for Housing, to clarify its basic policies related to future urban planning in Tokyo. 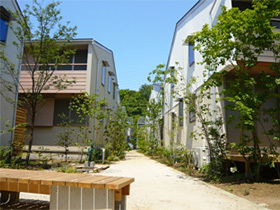 To improve areas with close-set wooden houses and to ensure the safety of evacuees by preventing large urban fires from spreading, the Tokyo Metropolitan Government is implementing projects to redevelop and improve areas with close-set wooden houses and to promote measures to make the city more fire resistant. 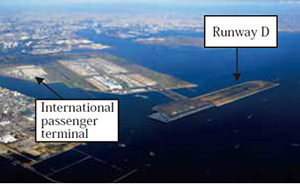 In the heart of the city, the Tokyo Metropolitan Government is leveraging the dynamism of the private sector to promote urban development through public-private collaboration in order to advance the formation of an international financial center and other urban spaces that have the elegance and multi-functionality befitting an international business center. The TMG is pursuing integrated transportation policies which not only consider the needs of the Tokyo 2020 Olympic and Paralympic Games, but also Tokyo’s post-Games transportation requirements. In order to make Tokyo’s transportation system truly user-centric, the TMG has pulled together concrete policy objectives in a transport strategy and is aiming to realize a world-class transportation system which is easy for all to use. A city’s greenery -represented mainly by parks and green spaces- serves a variety of roles. It brings a sense of ease and calm to daily life, sustains the urban environment, provides areas for recreation, and can supply space for evacuation in the event of disaster. The TMG is carrying out the following measures with a view to fostering a city blessed by water and greenery and in harmony with the environment. 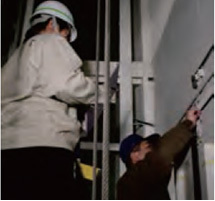 The TMG is taking a comprehensive approach in promoting measures for condominiums, such as supporting the initiatives of condominium associations and owners, in order to encourage appropriate management, renewal of aged condominium buildings, and other efforts. 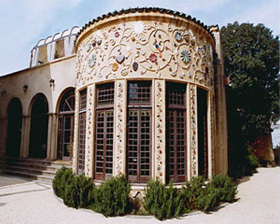 Based on the Building Standards Act and other related laws and ordinances, the TMG enforces regulations on individual buildings in terms of their safety, disaster resistance, and impact on public health, as well as regulations in accordance with land use plans determined in the city plan, with the goal to create a well-ordered metropolis. 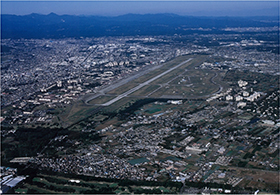 There are seven U.S. military facilities in Tokyo, and their impact on the daily lives of Tokyo residents ranges from aircraft noise to concern about incidents and accidents. 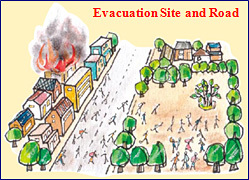 The Tokyo Metropolitan Government has designated evacuation sites to protect citizens from spreading fire that occur during earthquakes, as per the Tokyo Metropolitan Earthquakes Disaster Countermeasures Ordinance. 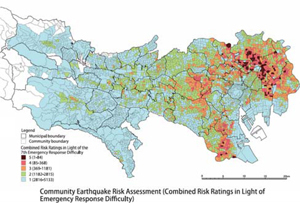 The Tokyo Metropolitan Government is pushing ahead with measures to build a disaster-resilient city in order to protect the lives and assets of its residents from earthquake damage. 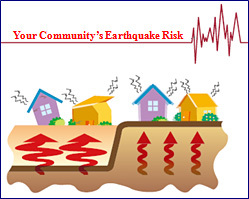 The publication of community earthquake risk assessments is one facet of such efforts.